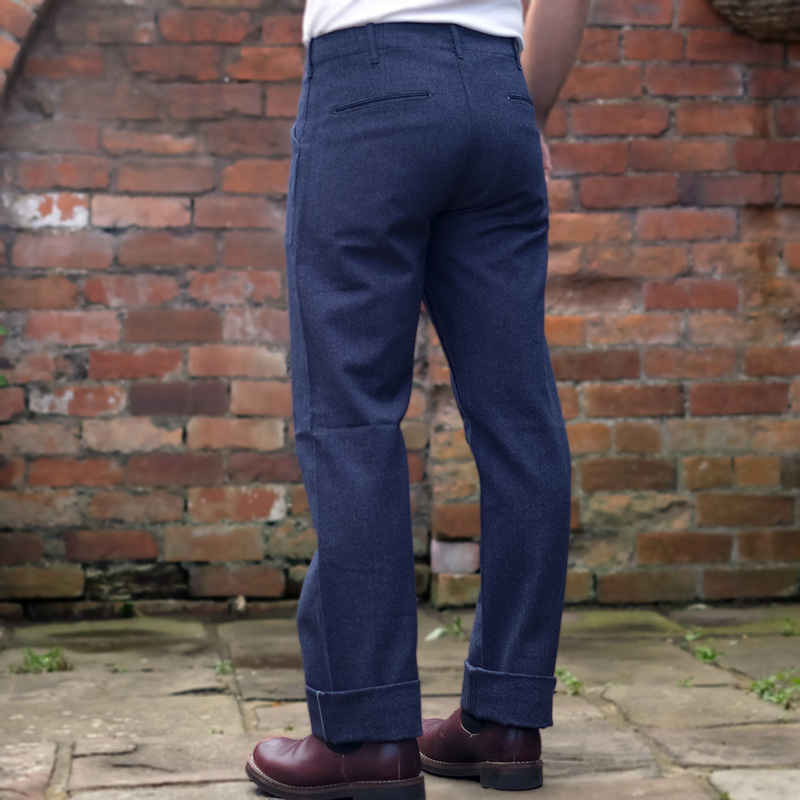 The Docker’s are based on early 20th century workwear trousers with a classic straight and relaxed but not baggy silhouette. 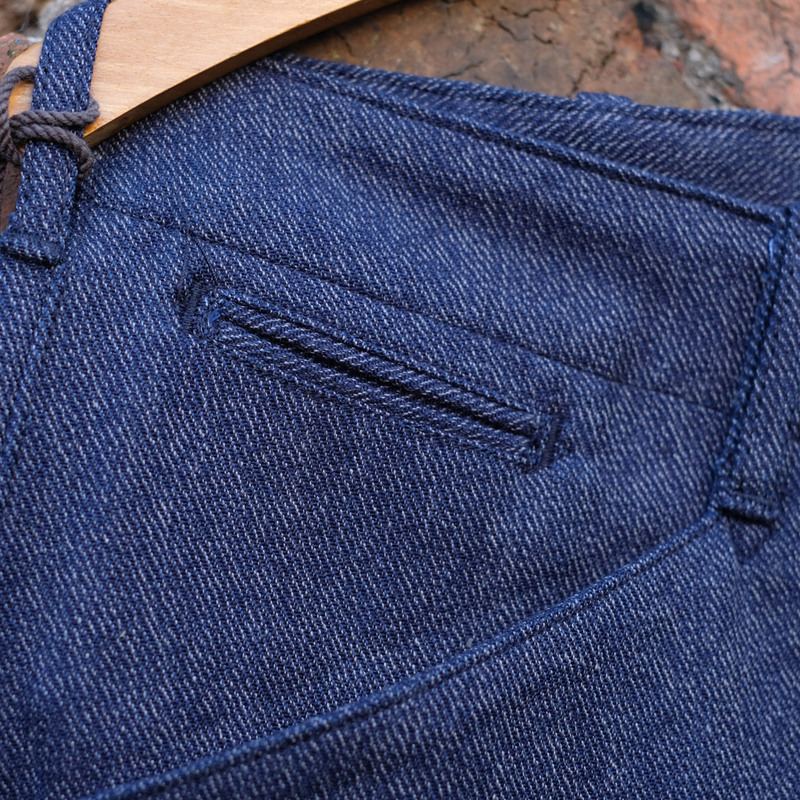 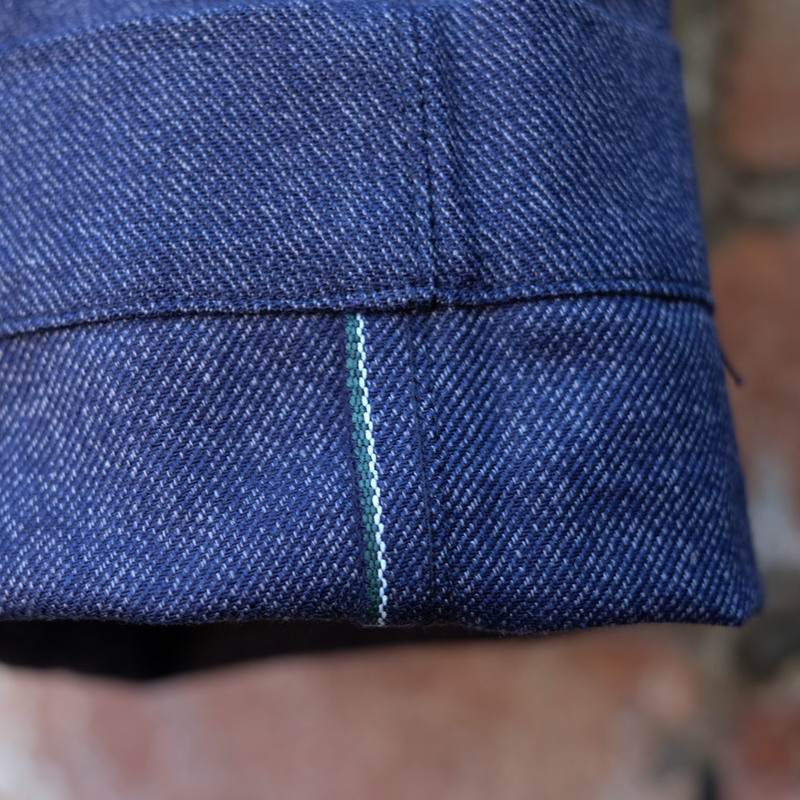 Made of a great vintage feel selvedge heather fabric and very well constructed for longevity and authenticity. 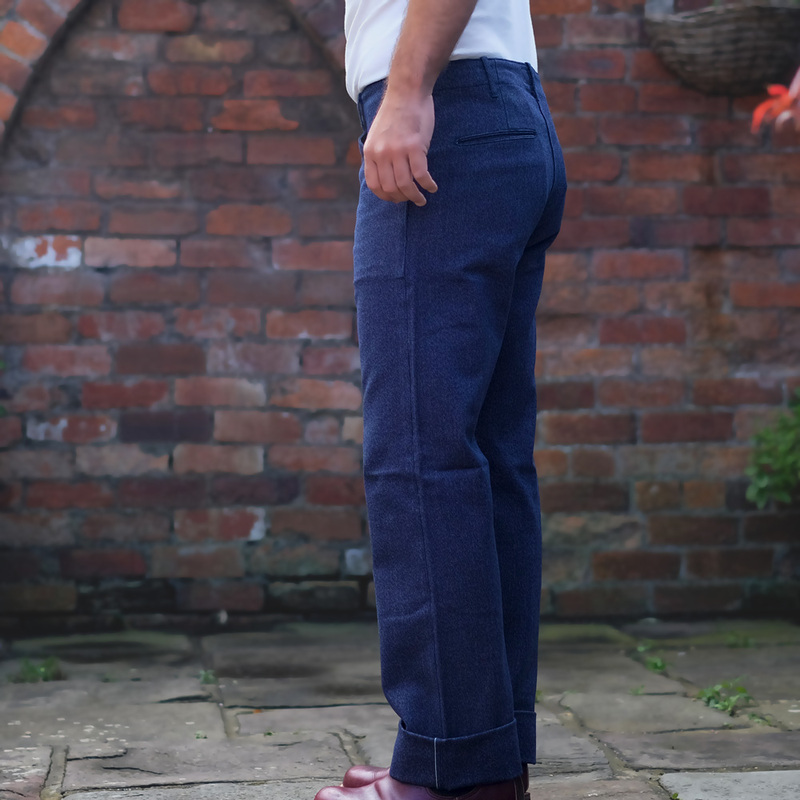 There is a lot of thought that goes into a pair of Stevenson’s and too much detail to list but from the fit to the area’s of stress and hard wear every detail has been thought out and constructed accordingly. 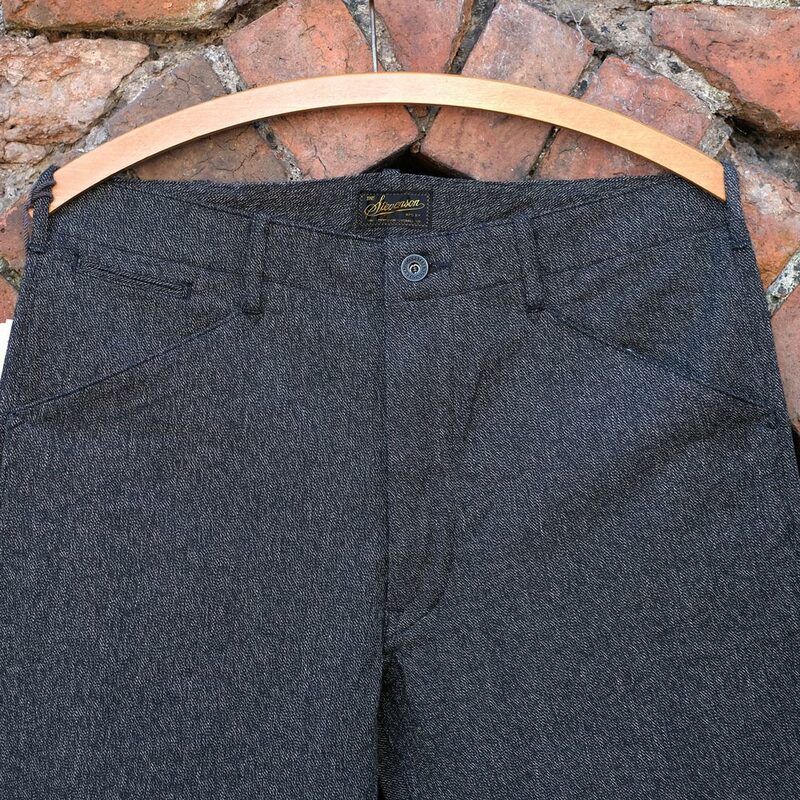 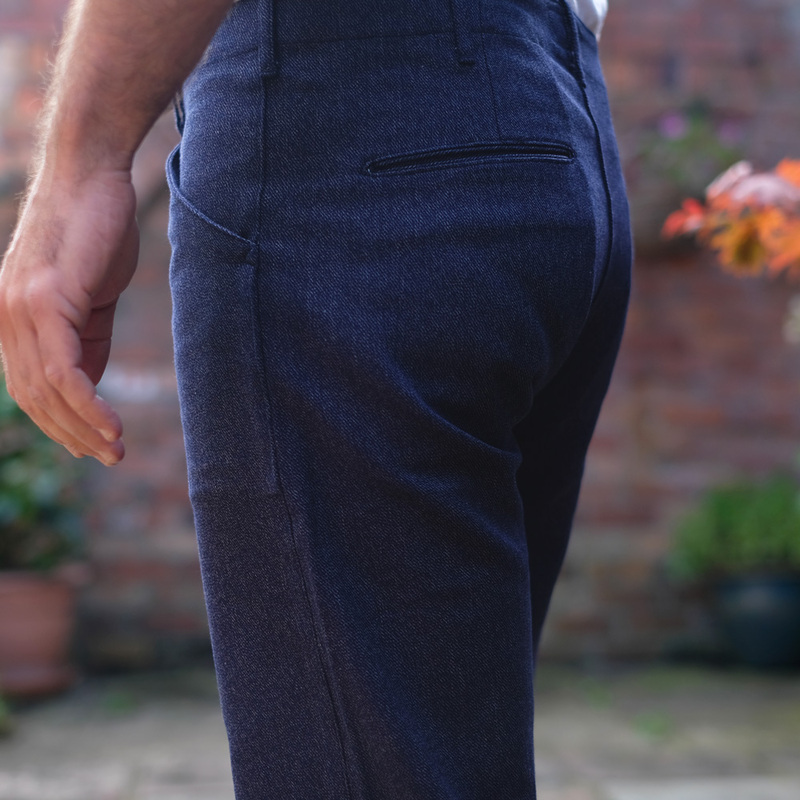 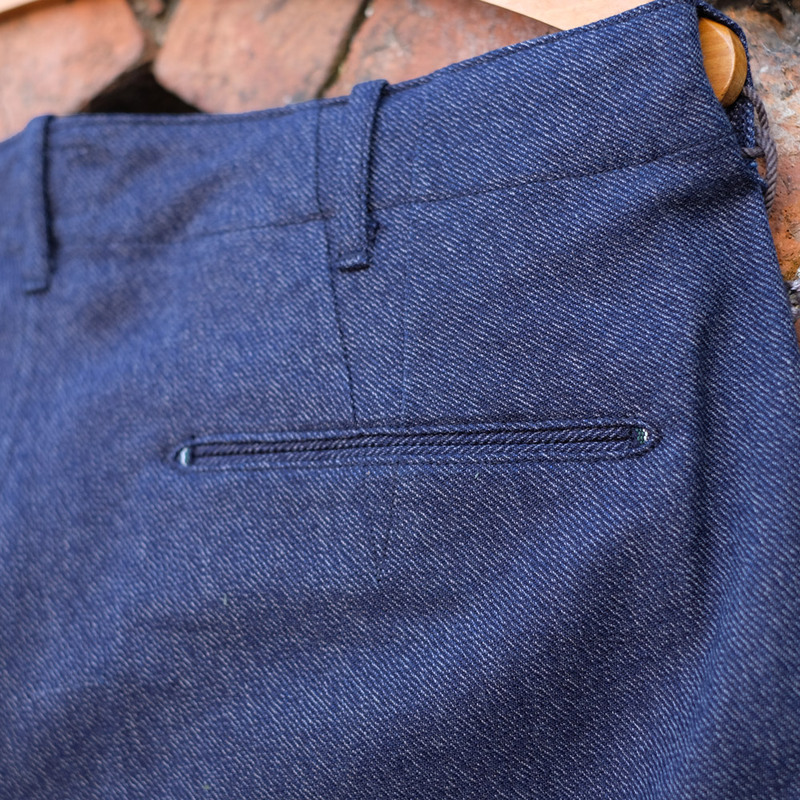 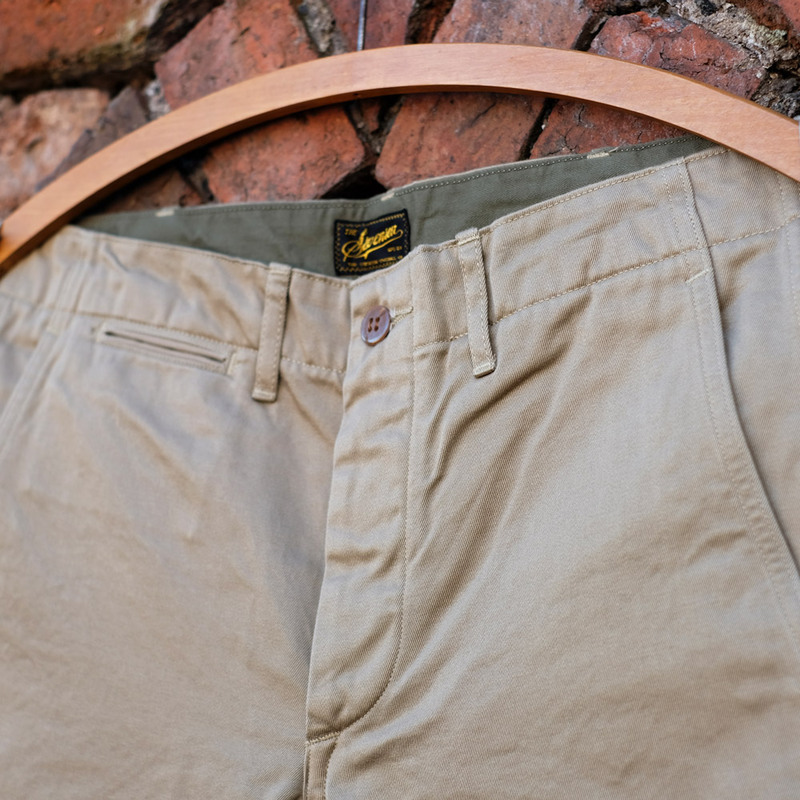 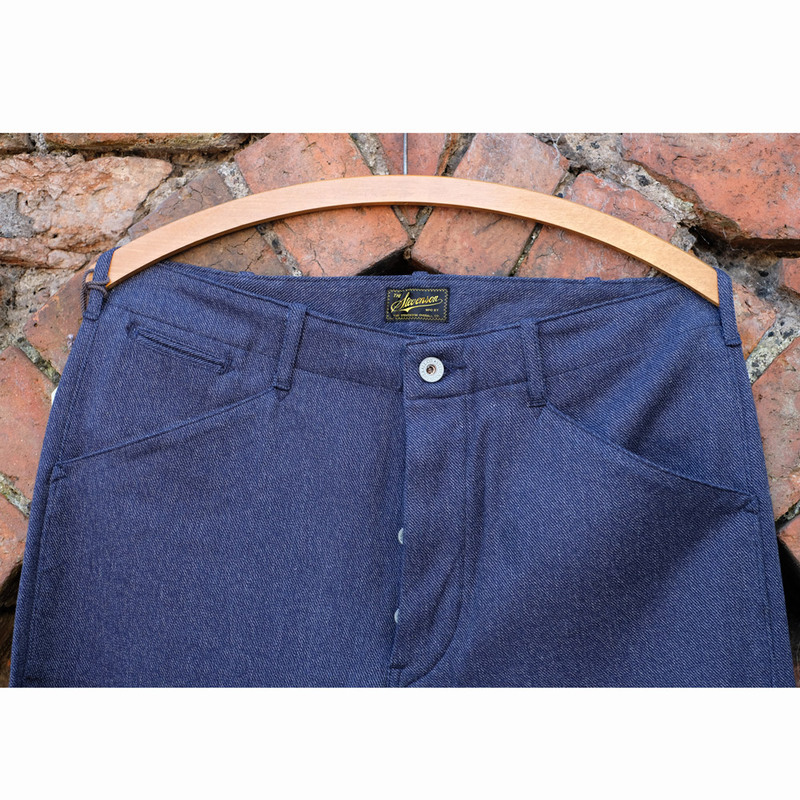 The Dockers are simply a well made and tailored pair of work trousers in a great mid weight fabric. 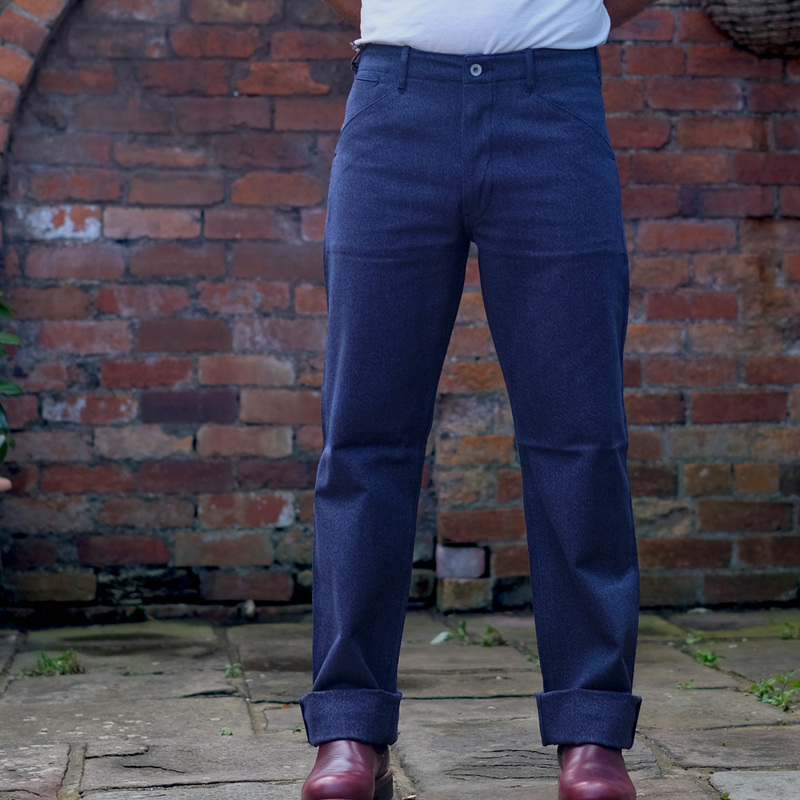 The model is: 5ft 10-11″ tall (180 cm), medium build weighing in at roughly 82 KG. 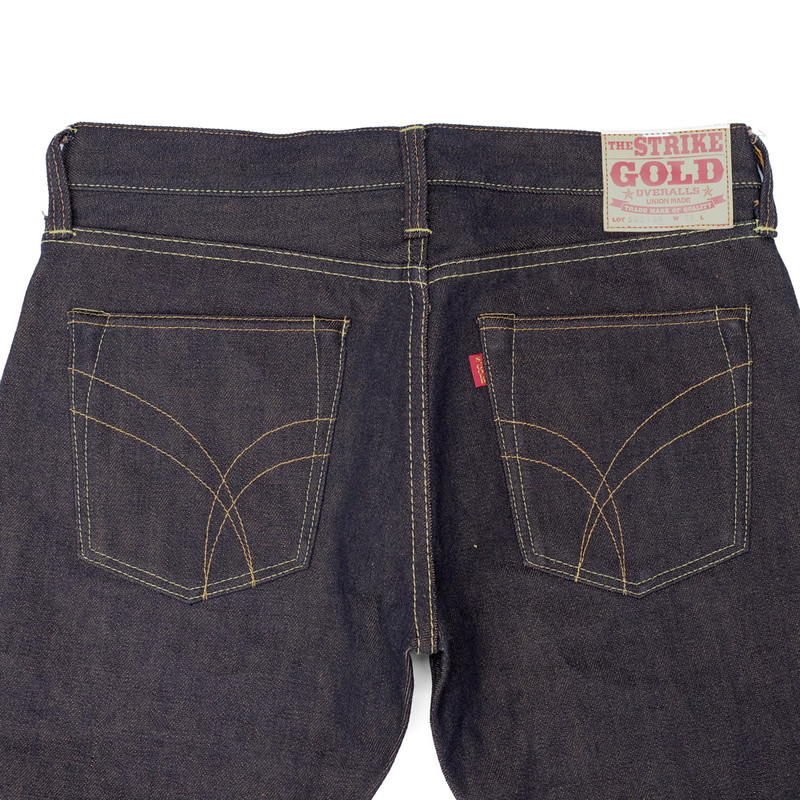 He is wearing a size 31 and wears a mix of sizes in raw/ repro denim dependent on the maker but generally wears a 32-33. 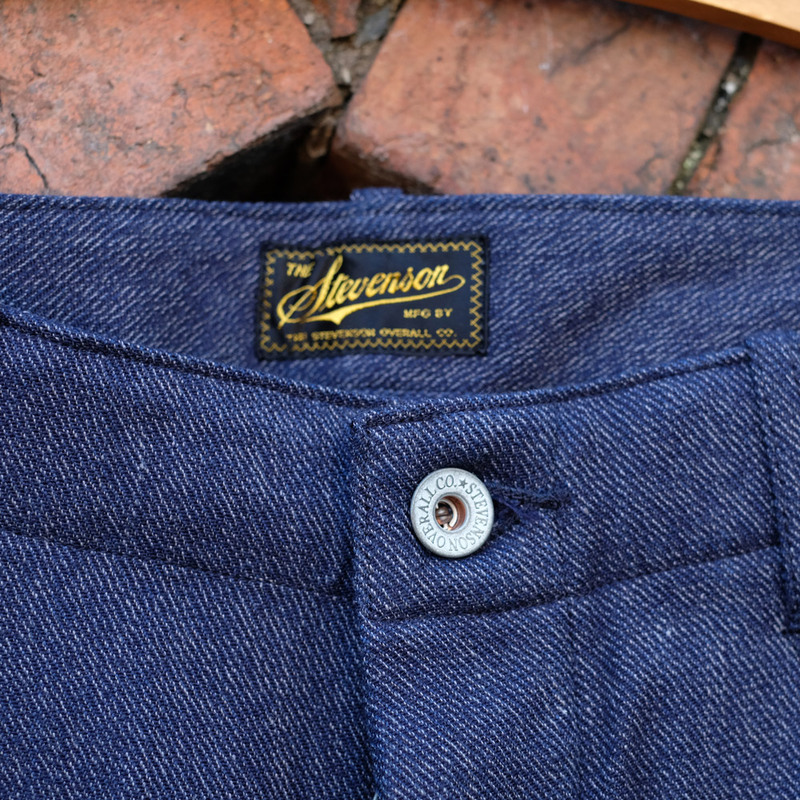 Stevenson are vanity sized but as the Dockers are rinsed there should be no shrinkage. 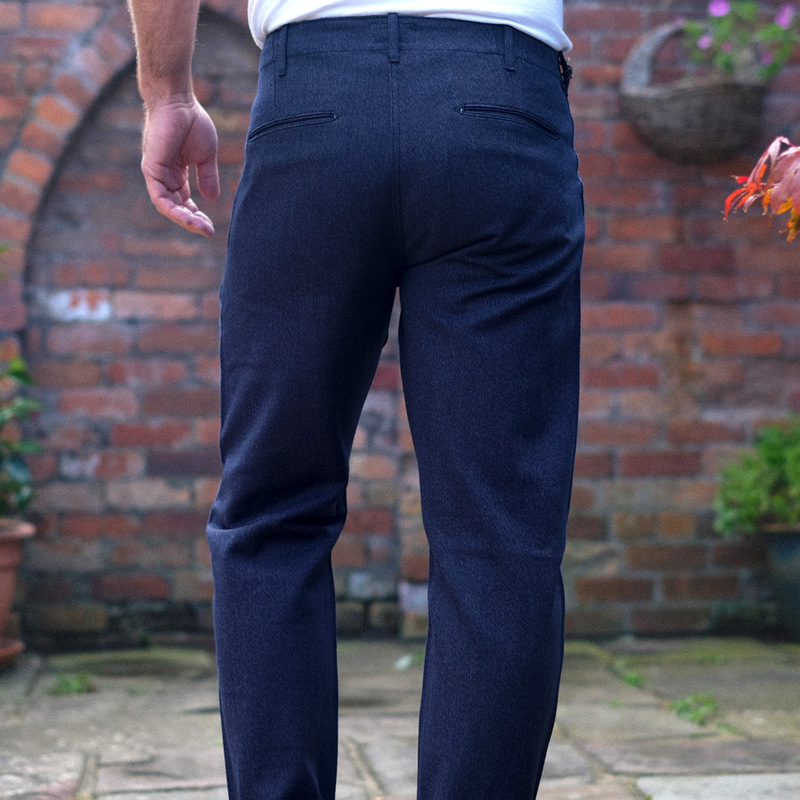 We would recommend choosing either a size down form your “usual” size for a slimmer fit or your standard size for a more relaxed fit. 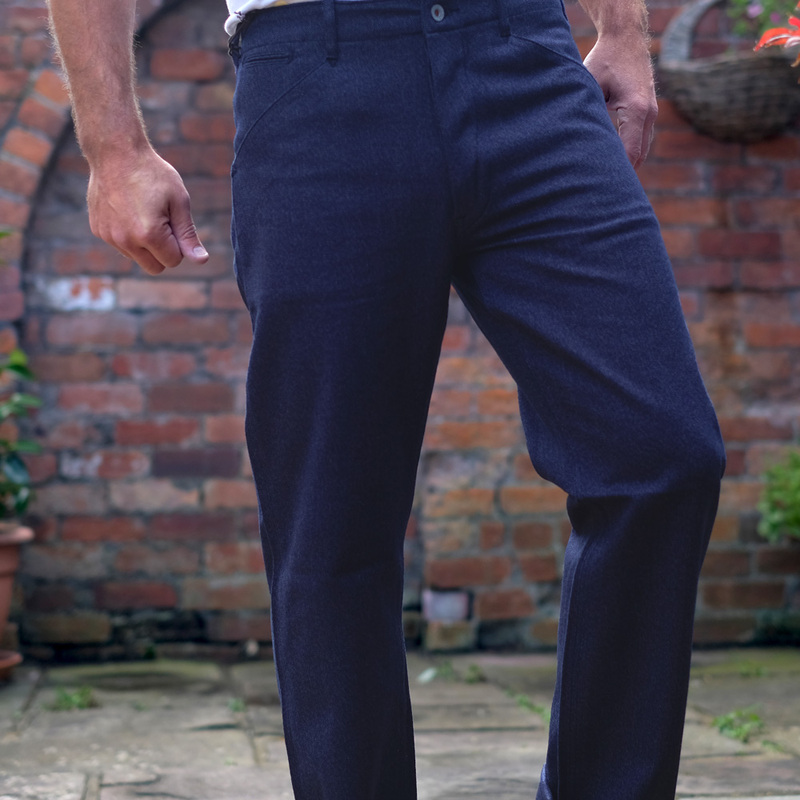 Please see how we measure our products here and use the measurements chart to compare against an item of yours that fits how you would like this to.